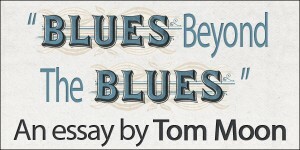 For Tom Moon’s essay on the Blues Beyond The Blues (read it here we put together a Spotify playlist that you can listen to here. Below, watch part one of the video companion to the essay by Moon. 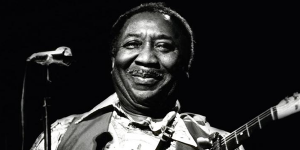 Music critic, writer and NPR commentator Tom Moon has written an essay about the influence of blues music on various of genres called Blues Beyond The Blues that you can read here. Below, listen to a Spotify playlist with songs he discusses in the essay. Listen to a companion Spotify playlist to the article below here. The blues is a long echo, rattling across decades and vast distances. Returning like a ricochet to tell each generation a slightly different story about what it means to be alive right this minute. It’s wisdom from an old place and from ten minutes ago. It’s escape and in the same instant an encounter with realities that can’t easily be escaped. 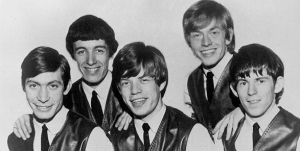 It’s a rhapsody and a knock upside the head, the painful sting and the salve for the wound.